The 2010 U.S. Census results revealed 5.2 million people living in the U.S. identified as American Indian and Alaska Native either exclusively or in conjunction with one or more other races. Out of this group, nearly 3 million respondents said they were either American Indian and Alaska Native only. Thus, the number of indigenous people living in the U.S. both on and off of tribal lands is likely high enough that some nurses will come in contact with them while providing nursing care in their communities, according to some indigenous health experts. It’s important for nurses caring for patients from indigenous populations to have an awareness of the unique challenges they face. The IHS is the Federal Health Program for American Indians and Alaska Natives whose national headquarters is located in Rockville, Md., a state which is home to well over 20,000 people who identified as either American Indian or Alaska Native alone, and nearly 60,000 people who said AI/AN comprises some portion of their ethnic heritage, according to the 2010 U.S. Census. The health inequities that exist for U.S. indigenous populations is striking. 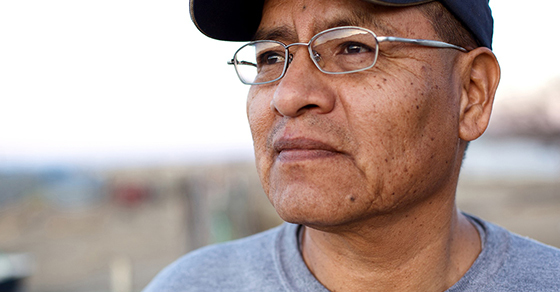 According to the Disparities Fact Sheet from the Indian Health Service, the federal health program for American Indians and Alaska Natives, members of these populations have a life expectancy of 5.5 fewer years than other races in the U.S., and experience mortality at higher rates from chronic diseases such as diabetes and liver diseases. “The American Indian and Alaska Native people have long experienced lower health status when compared with other Americans,” said Captain Francis Frazier, MSN, FNP, MPH, director of the IHS Office of Public Health Support. “Lower life expectancy and the disproportionate disease burden exist perhaps because of inadequate education, disproportionate poverty, discrimination in the delivery of health services and cultural differences.” Frazier said while the most recent IHS data from 2008-2010 shows American Indian and Alaska Native populations continue to have greater mortality rates compared to all other U.S. races, there have been some improvements for them since 1998, as evidenced by lower mortality rates in some areas such as tuberculosis mortality declining by 45% and deaths due to cerebrovascular disease declining by 38%. Even with this data, more needs to be done to increase health equity for American Indian and Alaskan Native populations. “While IHS, tribes and tribal organizations, and urban Indian Organizations work to address healthcare needs and preventive services, other factors need to be addressed by other federal departments and agencies; state, city and county governments; colleges and universities; inter-tribal and private organizations; as well as others,” Frazier said. Lowe said there are two federally recognized reservation-based tribes in Florida. Additionally, there are over 100,000 Native Americans and Alaska Natives from several tribal groups who live in Florida, as a result of the “Relocation Era” when job and other opportunities were offered to Native Americans as an incentive to move them off of reservations and into other states and regions of the U.S. “What was promised, many times did not get delivered,” he said. Most nurses learn about cultural awareness in nursing school, then again on the job when providing care for patients and families of various ethnic and racial backgrounds. But it seems more education for health professionals is needed regarding the care of indigenous populations in the U.S.
Lowe said when developing health and wellness projects, it’s important to involve the Native American community when planning the program so they can direct and drive the project, point out pertinent issues, share cultural practices that surround the health issue and impact possible paths for resolving the issue. The Intertribal Talking Circle is a culturally based program led by certified counselors to prevent substance abuse in the Native American community and currently involves three tribes who participate in a “virtual talking circle,” said Lowe. Participants from each tribe physically come together at their respective sites and engage in a 30-minute group session regarding substance abuse and prevention. Then each group logs in to a dedicated website with teleconferencing capabilities so all three groups can come together for further discussion on the session topic for that week. Frazier said the National Institute of General Medical Sciences the National Institutes of Health and other organizations have partnered with the Indian Health Service to support the Native American Research Centers for Health program. Lowe said the main goal of research and work related to health equity for indigenous populations is to explore ways together to improve their overall health and wellness in a sustained manner to resolve health disparities. This separation from one’s community, cultural practices, native language and tribal homeland, along with other factors, contribute to the health disparities and inequities facing American Indian and Alaskan Native populations, said Andrea N. Garcia, MD, MS, director of Community Centered Initiatives at the Los Angeles County Department of Mental Health, whose work is primarily focused on urban American Indian population health, systems improvement and research. There are 573 federally recognized tribes in the U.S. with approximately 2.2 million members eligible for IHS healthcare services, Frazier said. “Given that nurses are at the forefront of healthcare and nurses in the community may come in contact with indigenous patients, it’s important that they and other health professionals know what the disparity issues are,” said John Lowe, PhD, RN, FAAN, executive director of Florida State University’s Center for Indigenous Nursing Research for Health Equity in Tallahassee, Fla.
Promote better health for American Indians and Alaska Natives. 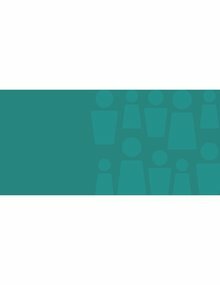 Learn to identify and remove barriers for your diverse patients. Increasing diversity is a challenge that's well worth the effort. Learn how to better serve black community's healthcare needs.